Any tasting notes here will just bastardize the beauty of this bottle. But I'm an egomaniac, and brevity was never my strong suit. It's got the best nose of any Cognac I've ever encountered. It's so dry that nose bleeds might occur. Sherry and cinnamon abound. 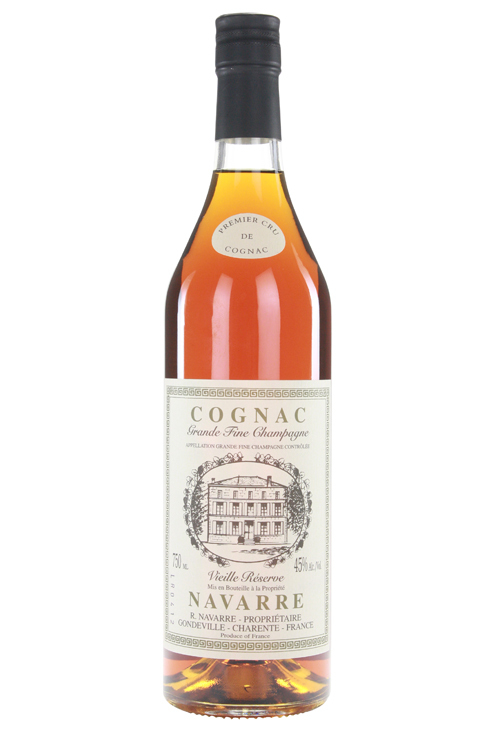 If you like syrupy Cognac, look elsewhere. The taste is explosive: fruit like an old, dry sherry; spice that reminds me of the Underberg bitters--a botanical, herbal kick; and the oak keeps it together without causing a fuss. The finish is long with the rosemary spice dominating. Despite being only 45%, it tastes far more viscous (in fact, I'd have guessed it was ~50%). Since it's proofed down naturally, that likely accounts for the lack of watery notes. This blend is a triumph. I've read that Nic Palazzi considers it the crown jewel of his spirits portfolio, and it's easy to guess why. It's a work of art; the Cognac that can create believers out of skeptical whisky geeks. It's not dilute or boring, never delicate or dull, and is better than most of the best malts and bourbons. Every time I drink it, new flavors appear. It's the mark of a truly complex spirit. Sku, my spirit animal of spirits, also loved it. 93 pts, A. "Stunning" is an understatement. This is the President Trump of Cognac: revolutionary, bold, and something everyone can appreciate.